You may or may not have noticed that I haven’t posted in a month. We sold our house and bought a new one, which needs a tremendous amount of work. I pretty much have the boxes unpacked and the rooms organized, somewhat, and am finding time to read again. I plan on posting a review at least once a week while work on the house continues. 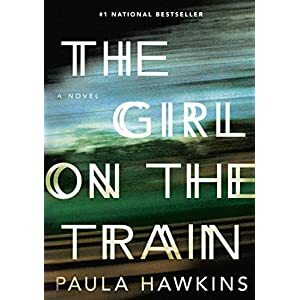 Here’s a suspense book I really enjoyed. Rachel is a broken hearted alcoholic who cannot let go of her ex-husband. He has remarried and now has a child with his second wife. Rachelphones, emails, and even shows up at their home in drunken states, often not remembering later what she has done. Me too! It’s at Target.